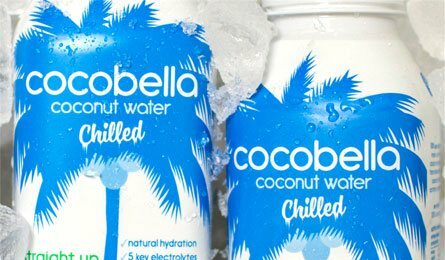 The Cocobella coconut water story started with a relentless search for the purest form of coconut water – 100% natural and chemical free. 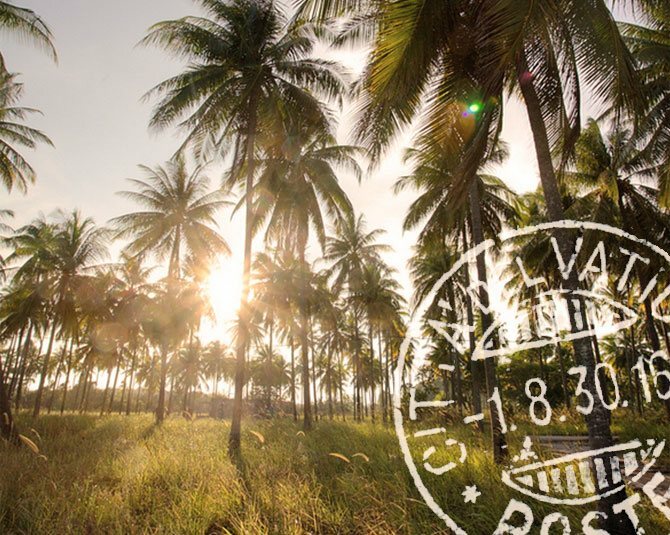 Hand-harvested and packaged right where our coconuts are grown, it contains no preservatives, artificial colours, flavours or additives. Some might say it’s straight from paradise. 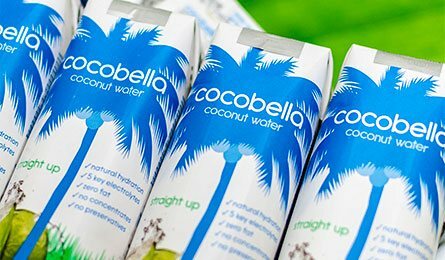 Made from the juice of young green coconuts, Cocobella is naturally rich in five key electrolytes making it a great source of hydration and refreshment. Whether alone or added to a smoothie, Cocobella makes for an ideal healthy drink packed full of vitamins and minerals. Hydrate, refresh and replenish yourself with the essential electrolytes contained within. 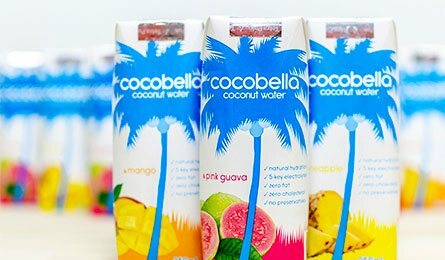 Find out more about the benefits of Cocobella coconut water or where to buy Cocobella coconut water. Cocobella is made from nature’s finest quality coconuts from sustainable plantations in Indonesia and Thailand. The delicate coconut water is extracted within days of harvesting and bottled at the source for maximum freshness. 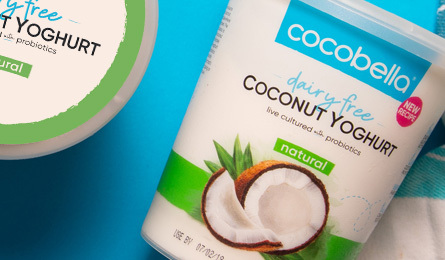 A gentle pasteurisation process keeps it safe to drink and our BPA-free packaging locks in nutrients and that deliciously refreshing straight-from-the-coconut taste we’re known for. Goodness from inside out. Yes, we mean the coconut water itself is great for your body, mind and skin. But we also mean the bottle it’s housed within, too. That’s because not only is the coconut water inside good for you, but the plastic is BPA-free. It doesn’t contain the toxic, harmful chemicals that could affect the quality of your water – the bottles keep each serving of coconut water as pure as nature made it. Cocobella is brought to you by Made – a 100% Australian-owned and independently operated beverage Company. Proudly Australian owned and using coconut products harvested locally in Indonesia and Thailand means we do our best to ensure every drop of coconut water is of exceptional quality. Experience the difference of Cocobella. 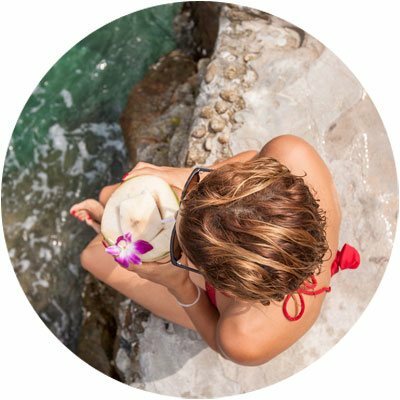 Packed to the brim with the fresh taste Australia loves, Cocobella coconut water also provides several essential vitamins, minerals and micronutrients to help you glow inside and out. The fresh-from-the-coconut drink is the ideal way to hydrate yourself throughout the day and after exercise to ensure you keep up your body’s valuable supply of potassium and electrolytes. What’s more, our coconut water is completely pure. We make sure to not just bottle the water as fresh as possible but to avoid processing and unnecessary added ingredients as much as possible. Apart from the natural coconut, the only ingredients you will find in the containers are pure and simple flavours sourced from nature. Every sip will make you wish you were in a tropical paradise. Drink coconut water by itself, or add to the blender when you’re having your favourite morning smoothie. Using it in place of water adds extra nutrients you wouldn’t normally get throughout your day, while still retaining that same fresh and hydrating feeling you get from H2O. Share your #cocobellamoment on Instagram and tag us @purecocobella!